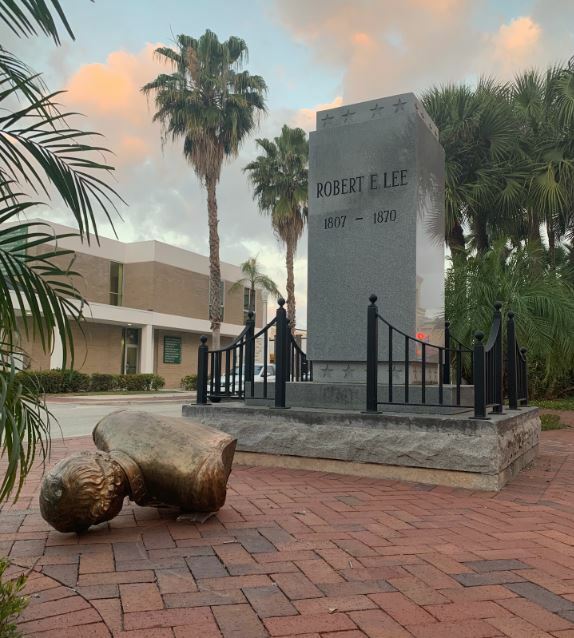 The Fort Myers Police Department is asking for the public’s assistance in identifying two men who they say were involved with damaging the bust of General Robert E. Lee in downtown Fort Myers. The bust of Lee was found lying face down, torn from its plinth at the intersection of First Street and Bay Street on March 12, before the Sons of Confederate Veterans carefully put it back the next day. 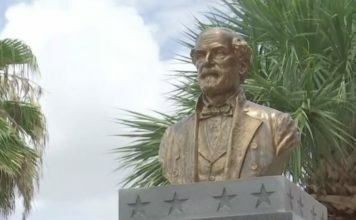 There are many different viewpoints on if the bust should be in downtown Fort Myers or not. But, resident Bryan Howell says the two men who allegedly removed the bust could probably get bailed out quick. “Somebody’s going to put forth some money and say, ‘you know what? I like what these guys did, and they didn’t do anything wrong,’ and somebody’s going to pay,” Howell said. 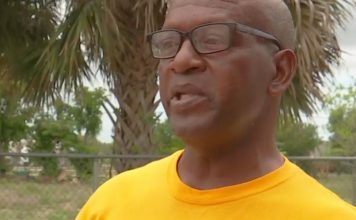 Lee County’s National Association for the Advancement of Colored People President James Muwakkil, who has fought to remove the memorial, said he would consider helping them. But some don’t agree with helping the alleged vandals out. “For damaging city property? No I would not put up with that,” said Kathy Conrad, Cape Coral resident. Tips can also be submitted to Crime Stoppers at 1-800-780-TIPS (8477). Tipsters will remain anonymous and be eligible for a cash reward of up to $3,000. Tips may also be made online at www.southwestfloridacrimestoppers.com or by submitting a tip on the P3Tips mobile app.